Can I Really Make Wine As Good As Commercial Wine? How Many Bottles Does A Wine Kit Make? How Do I Know What Quality Of Wine Kit To Purchase? How Do I Clean My Bottles? Each batch makes 30 – 750ml bottles. Niagara Mist™ wines have a medium sweet taste profile. The intense fruit flavours of Malbec and the refreshing notes of blackberry dance on the palate. This slightly bold, fruity wine will please your most discerning guests. Aromatic dark fruit flavours with a bitter-sweet chocolate undertone introduce you to natural fruit flavours of juicy black cherries intermingled with the smooth cherry flavours of Pinot Noir. This hot, exotic new blush style combines the aromatics and flavours of red berry fruits found in White Merlot with those of the tangy Blueberry and tart Pomegranate. The resulting wine is an eruption of sweet and juicy flavours that will leave you speechless. The green apple sweetness is balanced with the crisp finish from the Sauvignon Blanc grape, making this wine exceptionally refreshing at any time of the year. Fresh mango, sweet, sun ripened strawberries, and fragrant Moscato create a silky, refreshing and light-bodied blend. An ideal aperitif, Mango Strawberry Moscato also pairs particularly well with fruit desserts, Asian fare, antipasto, and cheese plates. Lush blueberry, raspberry and honeyberry flavours are accented by cool watermelon notes to create this chill, light-bodied sipper. Jammy, juicy and refreshing, with a slightly tangy finish. This tasty combination of ripe, sweet peaches, and the smooth butteriness of chardonnay is a refreshing treat on a hot summer day. With its enticingly vibrant peach nose, gentle bite of tart acidity, and lingering apple finish, Orchard Crisp Riesling delivers crisp, fresh-from-the-orchard fruit from start to finish. This blush style wine has been given some fire of excitement with the addition of sweet dragon fruit, then gently splashed with tangy cool raspberries. This smooth wine has the invigorating fruit flavours of plump sun-ripened berries, combined with the natural blackberry character of Merlot. A perfect sweet and velvety beverage for summer sipping. This refreshing fruit wine has an exquisite bouquet of fresh picked strawberries merged with White Zinfande,l to produce a pleasing and tempting fruit explosion. Bursting with aromas and flavours of juicy sweet pineapple, mango and kiwi, the subtle notes of the Riesling create the perfect clean, crisp finish. A delicious refresher for all occasions. Juicy sweet pears, a splash of lemon, and notes of custard and white flowers dance and sing from first approach to the refreshing finish. Your senses will run wild after being exposed to this ensemble of luscious berry fruits. This irresistible blush wine combines the easy drinking White Zinfandel with a rush of candy-flavoured forest berries that will have you begging for more. 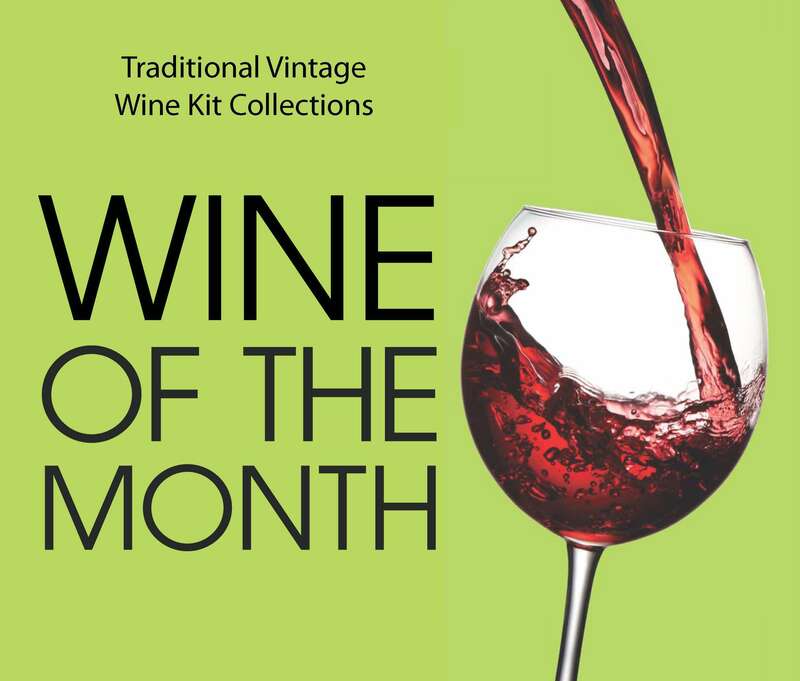 Not all wine kits are available in store on a regular basis, but any kit of your choice can be ordered on request.